A new study by Dr Raymond M Soneira, President of the DisplayMate Technologies Corporation, has rubbished claims that higher refresh rates combat motion blurring on LCD TVs. In a report titled 'LCD Response Time and Motion Blur' Soneira believes that "LCD manufacturers have taken the idea of bigger refresh rates on TVs to combat a problem which doesn't actually exist." In the paper he notes: "LCD manufacturers have turned [refresh rates] into a brilliant marketing strategy, offering ever more sophisticated and enhanced motion processing and ever higher 120 Hz and 240 Hz screen refresh rates to repeatedly over-sell a solution to a problem… that is no longer a problem." 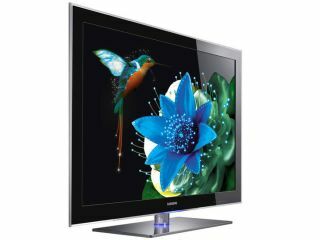 While testing a number of LCD, Plasma and CRT TVs – 11 in total from the brands LG, Samsung, Sharp and Sony – Soneira reveals that "there was no notable difference in motion blur between the top-of-the-line models (which all had 120 Hz refresh or LED strobing) and the mid-line models (which all had standard 60 Hz refresh), and which cost less than half of the high-end models." He also believes that by upping the refresh rate all manufacturers have done is "either introduce objectionable artifacts into the images" or that the boast of increased refresh rates "are just ineffective marketing gimmicks". In the end he notes that "it's time for both consumers and manufacturers to forget about this tamed 800 pound Response Time gorilla and focus on much more productive and fascinating display technology and marketing issues, such as the upcoming generations of 3D displays." The likes of Sony and Samsung have been heavily marketing their TVs around the concept of 200Hz and beyond for some time now. TechRadar has contacted both manufacturers for comment regarding Soneira's claims.